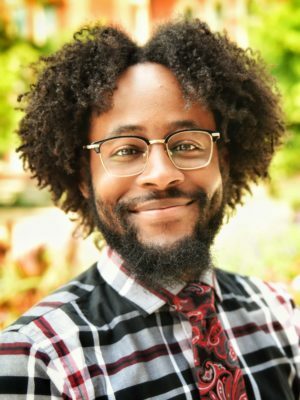 Aaric Doyle-Wright serves as a business support specialist for Access & Leadership Development in the Division of Inclusion, Diversity & Equity. His current job duties include supporting the development of educational programming, assisting with the coordination of workshops and conferences, and graphic design. He also supports the MU Celebrates Martin Luther King Jr. committee and serves as a facilitator (and band member of Talking Drum) for Citizenship@Mizzou. Doyle-Wright co-coordinates BackTALK, an asset-based interdisciplinary program fueled by the arts that centers on access and leadership development.